Three cigar brands will star in the upcoming Festival del Habanos: H. Upmann, Quai d’Orsay and an entirely new Montecristo brand. 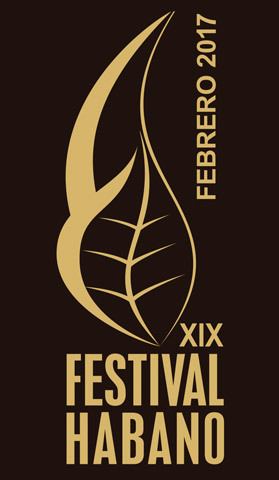 The cigars will appear at the weeklong Festival, the 19th annual celebration of Cuban cigars, which will be held February 27 to March 3 in Havana. Fans of the H. Upmann line can look forward to the Sir Winston Churchill Gran Reserva Cosecha 2011, the first Gran Reserva release for the H. Upmann brand. The 7 inch by 47 ring gauge cigar has been a staple in the H. Upmann line, although in recent years it has been in limited production. Previous Gran Reservas have included the Montecristo No. 2 Gran Reserva Cosecha 2005 (released in 2011), the Cohiba Siglo VI Gran Reserva Cosecha 2003 (released in 2009) and the Romeo y Julieta Wide Churchill Gran Reserva Cosecha 2009 (released in 2016). In support of the Montecristo brand, Habanos will be introducing the Montecristo 1935, an all-new line extension for the largest-selling global brand in the Habanos portfolio, perhaps reminiscent of the 2009 release of Montecristo Open. Habanos says Montecristo 1935 will include some of the traditional sizes found in the main Montecristo line, but no other details were forthcoming. Quai d’Orsay has been a popular brand in France, but with limited release elsewhere in the world. A Habanos spokesperson says the Festival cigars for Quai d’Orsay would include some new sizes, but no further details were provided. Since Quai d’Orsay’s release in the 1970s, the brand has been drastically pared down. Currently, there is only one size left in regular production. But France importer SEITA refused to let the brand die, keeping it alive through Regional Edition cigars like the Robusto Embajador and upcoming Secreto Cubano. Now, it seems, Habanos will be helping to support Quai d’Orsay with some long-needed new releases. In contrast to the last two Habanos Festivals, which saw the 50th anniversary of Cohiba in 2016, and the 80th anniversary of Montecristo in 2015, there is no big anniversary celebration for a single cigar brand slated for 2017.